The Araguaian boto (Inia araguaiaensis​)is the most recently described, least known and likely most threatened river dolphin. This species inhabits the Tocantins River Basin, the most modified river system in the Amazon. Given the recent discovery of the species in habitats of high disturbance there is an urgent need to learn about their biology in order to address conservation concerns. Like other aquatic mammals, these dolphins rely almost entirely on sound for important biological activities. Using passive acoustic monitoring and Dtags we will track botos to learn about their movement patterns, habitat preferences, and threats. 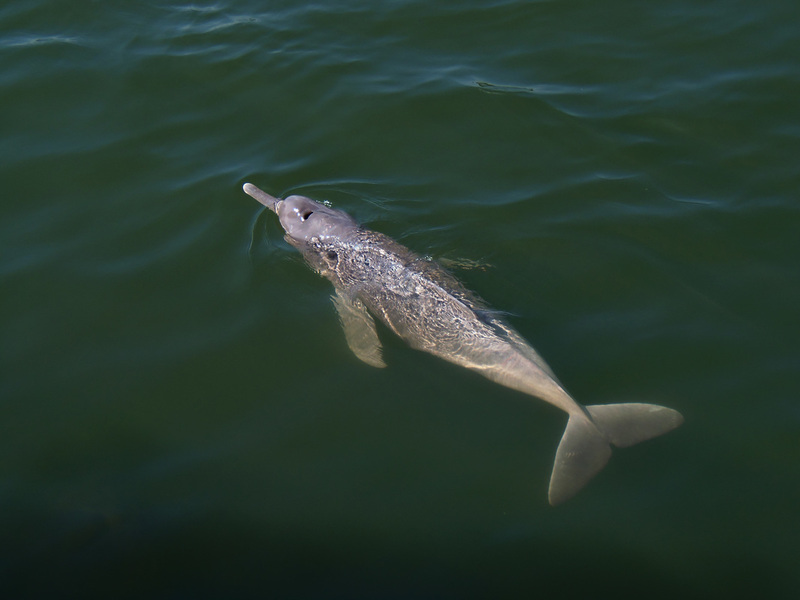 Who are the river dolphins? River dolphins are a group of cetaceans that inhabit riverine and/or estuarine systems of South America and Asia. 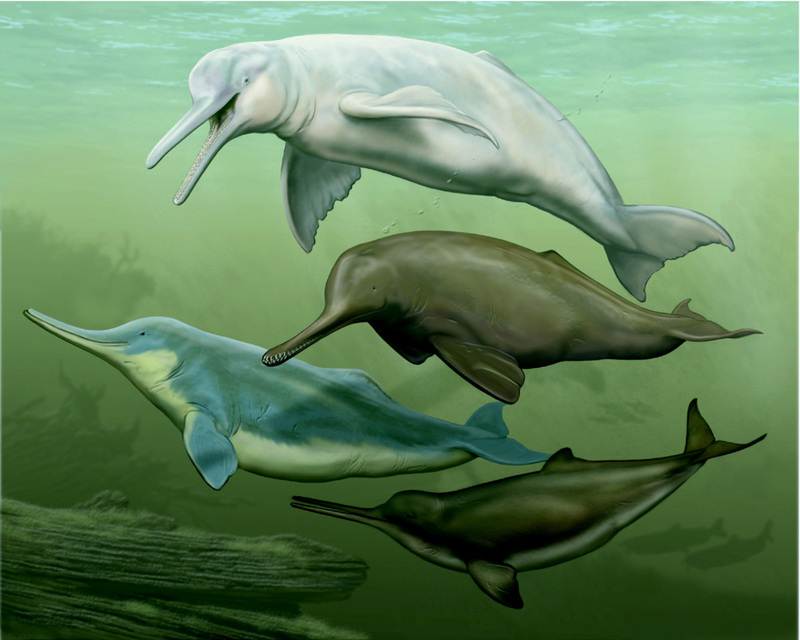 There are four genera of river dolphins, Inia, Plastanista, Lipotes and Pontoporia. Even though not closely related to each other, these dolphins share some characteriscs: they have long beaks, small eyes, broad flippers, low keel-like dorsal fins, they are usually shy on surface and normally in small social groups, the literature says the most stable association is between mother and calves. Other species of ceteceans have ventured into freshwater environments, the tucuxi (Sotalia fluviatilis), the Irrawaddy dolphin (Orcaella brevirostris) and finless porpoise (Neophocaena phocaenoides) colonized those habitats more recently. 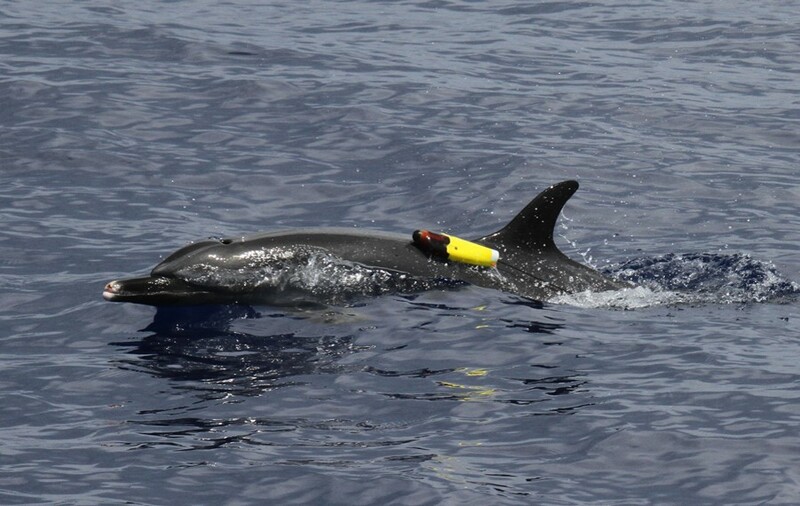 Dtags are acoustic tags that provide information of an animals sounds, geographical position, orientation and depth. These tags have been used in vast diversity of aquatic animals, these tags have provided important insights and contributed to conservation research of more than 20 species of cetaceans. Our project will be the first to use these tags with botos (Inia sp. ), and will gather information of the most threatend and least known species of the genus Inia, the Araguaian boto (I. araguaiaensis). Our team is composed by scientists of various institutions in Brazil, UK and USA.